You are unique. So too are your smile and your smile goals. At Barden Orthodontics, we appreciate that each of our patients is an individual, with his or her own dreams and concerns. That’s why Dr. Douglas Barden will create a care plan that’s tailored specifically to you. By focusing on your situation, he’s able to straighten your teeth gently and create the confident, beautiful smile of your dreams. At Barden Orthodontics, we place our patients’ needs at the forefront. We have one location, in Whitefish Bay, and we’re here full time. You’ll always see Dr. Barden and the same familiar, smiling team members during your visits. We’ll get to know you, and learn about your life, family, and interests. You are important to each of us and we promise you’ll always be greeted by name and with happy smiles. Not only will we know who you are, we’ll remember the last conversation we shared and ask what’s happened in your life since then. One of the best things about orthodontic care is that we see you roughly once a month for several years. We get to watch you transform as your teeth gently shift into proper alignment. We’ll see you become more comfortable with your appearance and watch your self-esteem and confidence blossom. You’ll become more outgoing and happier: talking and laughing with ease. At the end of treatment, you will be transformed. You’ll have a healthy, radiant smile you love and you’ll love sharing that smile with the world. And we’ll have been part of making that transformation happen. Is it any wonder we love what we do? Everyone at Barden Orthodontics believes you deserve the highest-quality, leading-edge clinical care. We also believe you deserve customer care that exceeds your expectations at every point. We’re here to serve and help you, and are glad to do so. 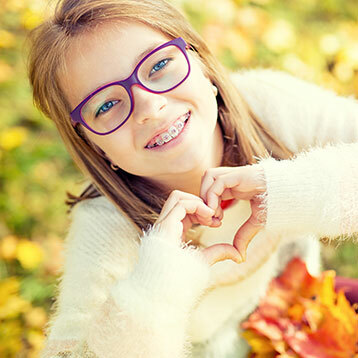 We offer complimentary consultations at our Whitefish Bay, WI orthodontic office. Come in, tour the office, meet Dr. Barden and our team, and learn how we can create your best smile. We look forward to meeting you. It will be our honor to help you develop a lifetime of confident, beautiful smiles. Call and schedule your consultation today!